Local business SEO is the process affecting how a business profile ranks in search engine results for key phrases within a geographic area. The most important aspect in regards to your local business listing is your Name, Address, & Phone (NAP). 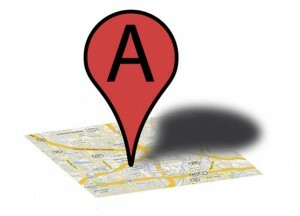 This is what your local business SEO will be centered around. There are many other factors as well that determine your local rankings in a city such as Jacksonville, FL, but for the most part making sure your name, address and phone number are accurate, consistent, and abundantly displayed on all the major directories. These business directories are also referred as ‘citations’. Local SEO is important for a business, but it is also important not to rely solely on growing your business with leads generated from search engines. Search engine algorithms can be very volatile. One day you can be at the top but the next day when their algorithm changes, you may be 10 pages back. For an online marketing plan, Jacksonville Website Design suggests that you use a combination of pay-per-click advertising, social media marketing, & SEO to provide consistency, reliability, and long term stability for your business goals.